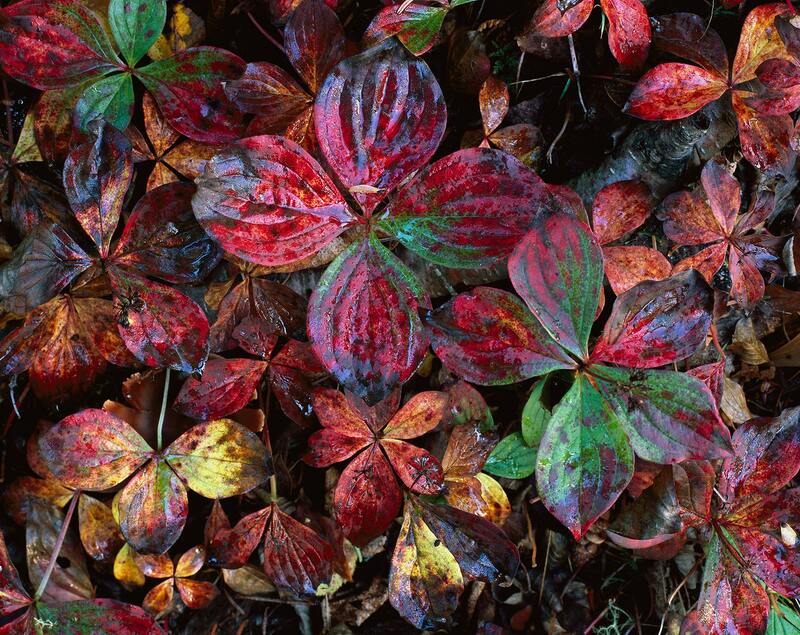 Colorful autumn bunchberry, or creeping dogwood, leaves carpet the forest floor along the cool northern shore of Lake Superior. A soft morning rain accentuates their colors and textures. Photographers are often drawn to the exclamation points in nature—the waterfalls and grand vistas—but the ephemeral moments at our feet can be equally as fascinating if we slow down and notice them.